All you need to do is plug it in and send it NAV to start earning NavCoin Stake Rewards. NavPi is a Raspberry Pi device that helps to run the blockchain at low cost. 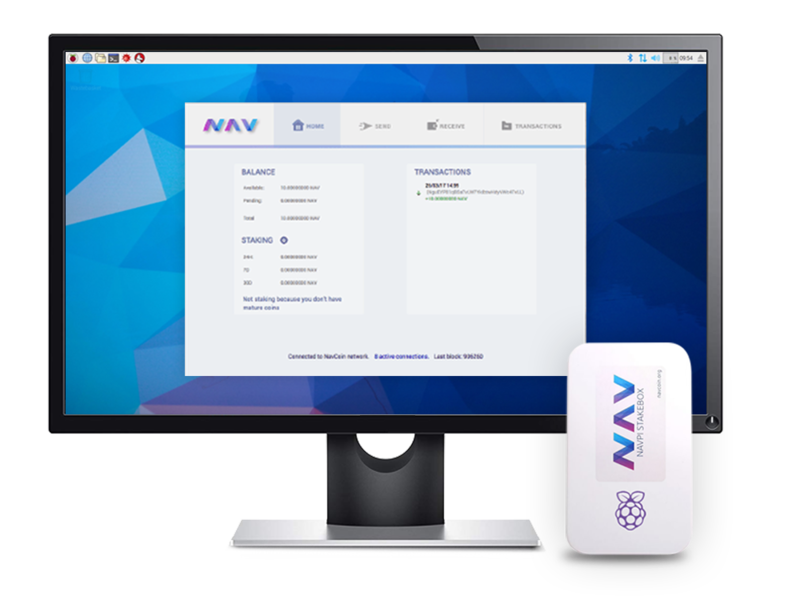 It runs the NavCoin daemon and a web wallet. This software conveniently turns your Raspberry Pi into a low cost way to help maintain the network.